When the Avenue South Residence site along Silat Avenue was being sold by the government back in April 2018, analysts deemed the outcome of the tender as ‘underwhelming’. The reason was because of the fact that only 1 developer submitted a bid for it and thus it was literally uncontested. The $1.04 billion submitted by UOL Group, UIC and Kheng Leong has raised tons of questions from the property market as it seems like the developer has somehow overpaid for the Silat Avenue site, which is situated in a relatively ‘untested’ area with almost no private residential developments around. The worse part is that it is not really close to any MRT stations. However, if you have witnessed some of the launches developed by UOL Group within the last few years, it has been very well-known to make a statement and exceed market expectations. Other than the projects launched in 2018, they have practically no balance units available in projects which were launched prior to those. So, will Avenue South Residence present itself to be an exceptional condominium development? Let us take a look. As mentioned above, the Avenue South Residence developer is a tripartite formed by UOL Group, United Industrial Corp (UIC) and together with Kheng Leong company. UOL Group probably needs no further introduction as it is one of the biggest and most renowned property developers in Singapore and one of its major shareholders is none other than United Overseas Bank (UOB) – one of the top 3 financial institutes in Singapore. It possesses an extensive real estate portfolio which mainly comprises of residential, commercial properties, hotels, and serviced apartments as well. Many of them are located in the prime areas of Singapore and overseas markets such as Malaysia and China; most recently the United Kingdom. According to financial data, UOL Group has a total of $20 billion worth of assets. Some of its notable new launch residential developments in 2018 include The Tre Ver at Potong Pasir and Amber 45. United Industrial Corporation Limited (UIC) was established in Singapore since 1963, It first started off as a private company and was subsequently went public back in 1969. The core businesses of UIC are mainly property developments and investments and became one of the major shareholders of the real estate development group, Singapore Land Ltd in 1990. Since then, UIC has become a renowned property developer with an impressive portfolio comprising 2.5 million square feet of office space and a million square feet of retail space in Singapore alone. One of the group’s most impressive residential development is the newly constructed V on Shenton (former UIC building) within the Central Business District (CBD) of Singapore. UIC has also successfully ventured out overseas, in major cities such as Shanghai, Beijing, and London. 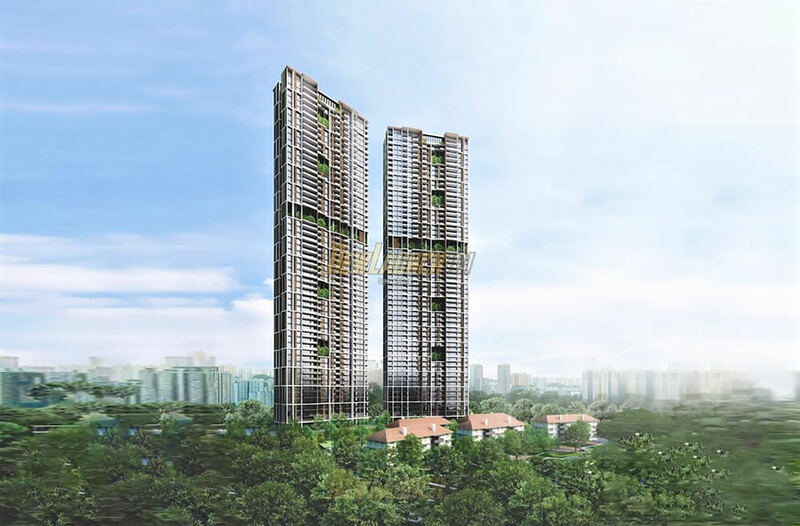 Unlike its fellow partners for developing Avenue South Residence who started off in the real estate industry since Day 1, Kheng Leong began as an international spice and commodity trading firm back in 1949. Over time, the firm has kept up with the ever-changing financial and business landscape which eventually led it into real estate developments and investments. Today, Kheng Leong has a strong growing portfolio which comprises of real estate development projects, through collaborations or direct investments with other major firms, being established across some of the biggest cities in the Asia-Pacific region – such as Shanghai, Hong Kong; others in London and in Los Angeles as well. As a private company, Kheng Leong has set up a base office in Shanghai in order to tap on the potential growth of China as it continues to seek opportunities for compelling investment. Avenue South Residence is being located along Silat Avenue, just right opposite the Lee Ah Mooi Old Age Home. In terms of location, this new condo at Silat Avenue, District 3 of Singapore probably checks most of the boxes for homebuyers. Just on the surface and preliminary details, you seriously can’t ask for a better location than being just next to the Central Business District (CBD) – where the heartbeat of Singapore is. So what does the location of Avenue South Residence – within the Kampong Bahru estate has to offer? Similar to the Tiong Bahru estate, the Kampong Bahru area is filled with rich history and heritage since the nation was established. In fact, this unique nostalgic lifestyle which residents at Avenue South Residence will get to experience stretches all the way to the Chinatown precinct. On the other side, you will get to enjoy the modern-day convenience as plenty of renowned malls just within close proximity to Avenue South Residence. One of them is the Vivo City Mall (the closest one), where you will find one of the largest supermarkets in Singapore, movie theatre, restaurants serving various types of cuisine and a wide range of retail stores. One of the key benefits of living at Avenue South Residence would also be its close proximity to Sentosa – the perfect location for a weekend retreat with your family or your loved ones. While other locals and foreigners travel a long way from other parts of the country and the world to visit Sentosa, it will only take you less than a 10 minutes’ drive to reach there, as a resident at Avenue South Residence. Another key landmark within the area would be the future Greater Southern Waterfront city. It is set to be the biggest development in Singapore’s history across 1,000 hectares of land (three times the size of the current Marina Bay precinct). This move will provide a seamless linkage between the key places of interest in Marina Bay, Sentosa, and Labrador Park – creating a unique waterfront living experience. Within the future Greater Southern Waterfront city, you will probably see more skyscrapers, a waterfront promenade that is 30-km long and a green corridor linking to various nature spots in the southern region. For drivers, it would be an absolute breeze traveling to the northern and western region of Singapore as the entry points to Central Expressway (CTE) and Ayer Rajah Expressway (AYE) are just less than 5 minutes away. Via the CTE, prominent places such as ION Orchard shopping mall and Great World City mall are both located just a mere 10 to 15-minute drive away. And if you heading the core region in the western part of Singapore, such as the Jurong Business District, it will only require you a 20-minute drive via the AYE. If getting your child into a good primary school is one of your top priorities in life, you’ll be glad to know that Avenue South Residence is situated within the 1 km radius of Radin Mas Primary School and CHIJ (Kellock). Other than these two, there are still other primary schools such as Zhangde Primary School and Cantonment Primary School – which are still within the 2 km radius. Within the same region, you will even find top educational institutes for those who are seeking for tertiary studies, such as the National University of Singapore (NUS), Singapore Polytechnic and the Management Development Institute of Singapore (MDIS). At Avenue South Residence, you will be well-served by some of the eateries and shops which are located along the HDB flats right along Jalan Bukit Merah – all within a 5-minute walk away. Some of these amenities include a laundry shop, a beauty salon, a coffee shop and most importantly, a fair price shop (exactly located at 150 Silat Avenue). One of the most prominent amenities in the area would be the Singapore General Hospital (SGH) – one of the nation’s biggest medical facilities. Of course, I’m not saying that you will require the services there all the time, but it’s always good to know that the best medical aid and support are just around the corner if you ever need it. Back in October 2015, the Land Transport Authority (LTA) of Singapore announced that the ‘loop’ for current Circle MRT line will be completed with 3 additional stations situated in the downtown core. They are Keppel, Cantonment, and Prince Edward MRT station. The Cantonment MRT station, due for completion by 2025, will be the closest station to Avenue South Residence. Based on the existing routes, it will take around 15 minutes of walking to reach the train station (according to Google Maps). However, you may also choose to walk along the Greenway Corridor or Rail Corridor (to be completed by 2023) via a park right in front of condominium – which will cut the walking duration to Cantonment MRT station approximately by half (to around 7 – 8 minutes instead). Just look at our estimation based on the tools provided on OneMap.sg. In addition, there will also be 8 commercial units and 5 conservation blocks (each 4 storeys tall) within the condominium. It will be expected to TOP by the end of 2023. Avenue South Residence will have a wide range of units types from 1-Bedroom to 4-Bedroom. The Avenue South Residence floor plan layouts have yet to be released yet from the developer. If you are keen on this project, do drop us a note using the form below and we will keep you posted. The official Avenue South Residence price guide has not been announced by the developer at this point of time before the launch. However, based on the land cost of the Silat Avenue site at $1,138 psf ppr, it’s likely that the average selling price of Avenue South Residence condo will be around the $2,000 psf mark. The Avenue South Residence showflat will likely be situated on the actual site of the development along Silat Avenue. The official opening and operating hours are yet to be announced. So, do give us a call at (+65) 6631-8384 or send us a message using the form below so that you’ll know first-hand when the showflat is open for viewing. Due to the fact that not much information has been disclosed by the developer, I am unable to provide a full-scale review of Avenue South Residence. However, based on the preliminary information, the location does seem to be the main draw of this condominium project. As the government recently released more information on future development plans for the Greater Southern Waterfront and the CBD under the upcoming 2019 URA Master Plan, it does seem to be a big draw for those who are considering to buy a unit at Avenue South Residence. The only downside which we can really pick on is the total number of units within this development. 1,074 units spreading across just 2 residential towers – it just makes the condominium looks incredibly dense. It would be nicer if they have 1 or 2 more residential towers in order to give residents a little bit more exclusivity. If you want to know how does it feel to live in such condominiums with just 2 towers and tons of units, one similar instance is Commonwealth Towers – 845 units, with 2 residential blocks at 43 storeys tall. It was completed back in 2018. I would like to view Avenue South Residence and receive priority information on this project. Thanks.